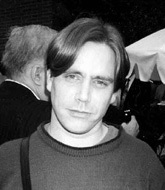 Stephen Chbosky speaks out on books and being a teen. Readers’s letters about stories in the September – October 2001 issue of L.A. Youth. Essay contest: Who’s more annoying—boys or girls? Girls are more annoying, according to many of our 115 essay writers. Our taste test will show you the winners and losers in the pizza world. Stephen Chbosky, 30, has hit a nerve with his novel, The Perks of Being a Wallflower. In an e-mail interview, he describes his thoughts on the book, which is about a ninth grader who is a bit of an outsider. A. "The truth is, I wrote the book for very personal reasons, and I’ve been very happy to see how many people have been able to relate to it. Especially the comments on Amazon.com. They really blow me away. In response to your questions, I didn’t so much develop Charlie as Charlie came to me. I had been thinking about this story for around five years: these images of a kid standing up in a tunnel and this girl he finds beautiful. And these parties he goes to. All these details. And then one Saturday morning when I was going through a hard time, all of these impressions just clicked. I woke up. Sat down. Wrote the first line. And in a month, I had half the book. I took a few months off, then finished the book in six more weeks. In terms of it relating to my adolescence, I’ve always said that the book is very personal to me, but it isn’t necessarily autobiographical – not in the literal sense of the word anyway. I do relate to Charlie. But my life in high school was in many ways different." Q: What gave you the idea for the book in the first place? Do you see the world the way Charlie does? A: "I do see life the way Charlie does. Actually, it was writing the book that made me understand I had so many of these thoughts and feelings about people and the world. The idea for the book started in school. I was writing a very different type of book then, and in it, the narrator says, "I guess that’s just one of the perks of being a wallflower." I wrote that line. And stopped. And I realized that somewhere in that title—the perks of being a wallflower – was the kid I was really trying to find. I stopped writing the book I was working on. And five years later, I wrote Perks." Q: The only subjects I found in literature for guys were on war and violence. Your book was the one written about guys and their feelings about growing up. Why do you think teen popular fiction is mainly aimed at girls? Why aren’t there books for guys that cover subjects outside of war and violence? What books did you like to read as a teen? What do you like to read now? A: "I asked my publishers the same question, and one woman told me that popular fiction for teens is mainly aimed at girls because they are the ones who buy it. Simple as that. It’s not to say guys don’t buy books. But most of them like fantasy or horror or war books. Nobody knows why. That’s just been the norm for awhile. In terms of the books I liked as a teen, I enjoyed a good blend of the classics, horror and fantasy. My favorites were The Great Gatsby, To Kill a Mockingbird, Death of a Salesman, The Shining, The Hobbit and Hamlet. The books I like now depend. I still favor the classics: The Sun Also Rises, Crime and Punishment, 1984, Portnoy’s Complaint. But I also love page-turners, especially Stephen King. The Stand is still one of my favorite books of all time. And Boy Wonder by James Robert Baker is still the funniest book I’ve ever read." Q: Charlie reads The Catcher in the Rye many times over. When reviewers say that your style of writing seems similar to that of J.D. Salinger’s, did you do this on purpose? A: "It’s hard to talk about The Catcher in the Rye, because it’s such an American classic. I do love the book. It was one of my favorites growing up. But honestly, I hadn’t read it for years when I wrote The Perks of Being a Wallflower. And as much as J.D. Salinger was an influence on me, as was F. Scott Fitzgerald, Tennessee Williams, screenwriter Stewart Stern, and countless others, I was not trying to mimic his style as a writer. I did, in part, reference The Catcher in the Rye as a tribute. But no more than This Side of Paradise, On the Road, and a host of other books that I loved growing up. I can see how people could compare Charlie to Holden Caulfield. At the same time, I think they are very different people with unique problems and perspectives."